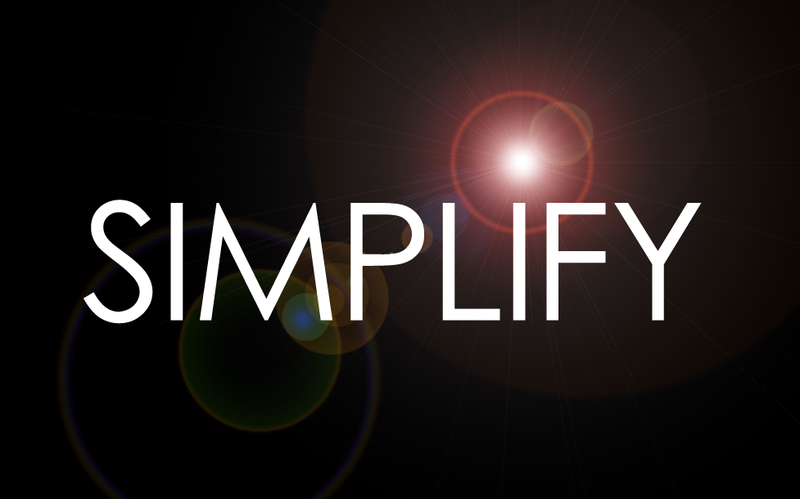 In my previous post I made an appeal to simplify our lives, focusing on the "why." This post puts some meat to that, and seeks to answer the "how." At least two things are required to live simply and I have found out the hard way just how hard this is going to be. 1) Contentment, and 2) Discipline. Contentment: "an internal satisfaction which does not demand changes in external circumstances." (Holman Bible Dictionary). A person who is content has a far easier time living a simple life. Why? Simple - their minds are not pre-occupied with whatever it is they're not content with. People who aren't content are always thinking and working towards the next thing. Contrast that with someone who has an "internal satisfaction" for where they are and what they have, even if nothing changes. Self Discipline: "the ability to control one's feelings and overcome one's weaknesses; the ability to pursue what one thinks is right despite temptations to abandon it." If you want to live a simple life, you have to have self-discipline. You have to be willing to deny your flesh in order to feed your spirit. Take my closet for example; I have a closet full of clothes and if you look deep enough, you will find things that I haven't worn in years. It takes both contentment and discipline to simplify my closet and purge the things I don't need or don't use, and also not replace them with others. Am I content with what I have, and am I disciplined enough to keep it simple once I have purged? The closet is the easy part - how about living a simplified schedule? Resisting the urge to run off on a camping trip when I know very well that my soul and body need a weekend at home to rest instead? Saying "no" to the invitation to hang with friends because I've been out three nights in a row already and really need some down time? See that? Philippians 4:13 is one of the most claimed verses in the Bible - do you see the context which Paul wrote those words? He was talking about contentment...the secret of being content is Jesus. His strength and power will give us what we need to be content whether you have a house, two cars, three kids and a boat, or whether you live in a studio apartment and bike to work. I have seen this principle at work - "the more I have, the more I worry about what I have." I think there is a better way...enjoy what you have, but live simply.